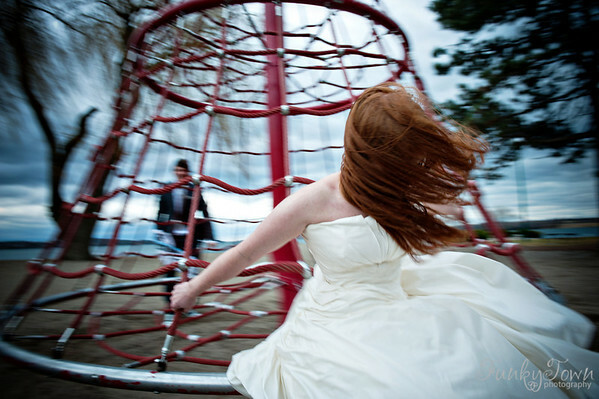 Photograph something other than a wedding where things move fast in front of you. This could include cars on a highway, kids skateboarding, an equestrian park, a dog running around in a park. Plan to spend at least one hour practicing your panning. 1. Your shutter speed should be around 1/8-1/30th of a second (this will vary depending on how fast your subject is moving and you may need to play with this setting to see what looks the nicest). If the subject is moving VERY fast (like a race car) you may get away with 1/100th of a second. Experiment until you find the right setting. 2. If it’s a bright sunny day use a polarizer or a neutral density filter (this will allow you to gain one stop more with your shutter speed). You can also simply turn down your aperture to f22 or f32 – whatever you need to do to get to your desired shutter speed. Your ISO should ideally be at 50mm or 100mm. 4. When you shoot, practice moving your camera at the *exact same* speed as the moving subject. This should blur the background but keep the subject in focus. Another technique that’s fun to try is the “pop ‘n drag,” which is essentially a panned shot with flash. On your camera find the menu that will allow you to do either Second Curtain Synch (on a Canon) or Rear Curtain Synch (on a Nikon). Check your camera’s user manual or look it up on Google. This will work best in a dark room with ambient lights (which will blur behind your subject – this won’t work if the background is one color). 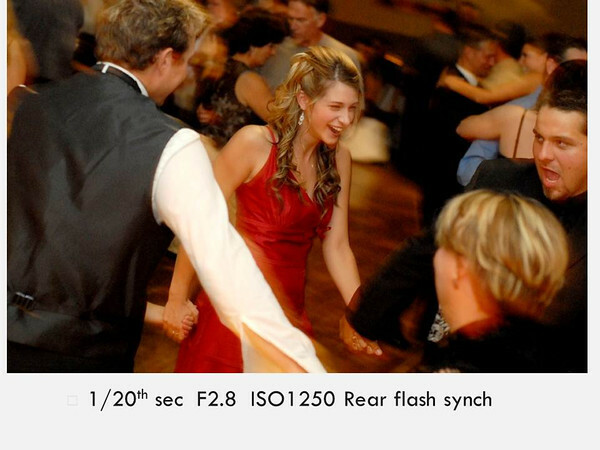 Now, have your shutter setting on 1/8th of a sec to 1/40th of a sec. Change your ISO and aperture so you can achieve a slower shutter speed. Your shutter will remain open longer than the flash will burst. You want the flash to burst at the end (second curtain synch or rear curtain synch will ensure your flash bursts at the end) so you don’t get streaks across people’s faces. The motion will be frozen at the end of the exposure thanks to the flash. 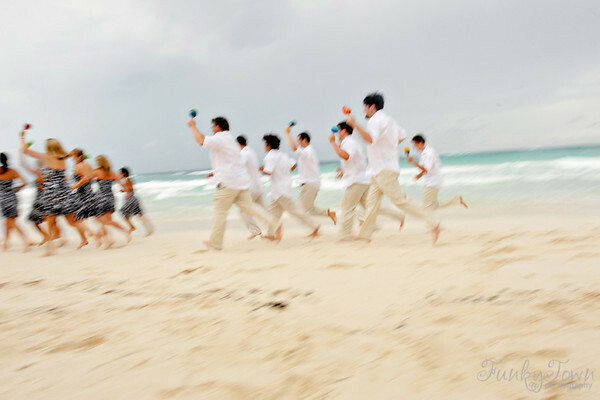 Again, you need to move your camera at the same speed as your subject to ensure there is the panning blur behind them. 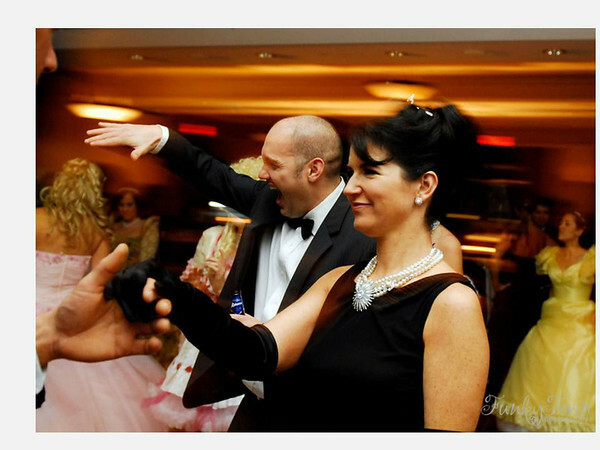 I actually keep my camera’s flash setting constantly on rear curtain synch even when I’m not doing pop n drags. I don’t find it affect the photos when I’m trying to freeze motion. I can’t tell you the technical reason for this, I just know it works to always have my flash on rear curtain synch (and it doesn’t affect other photos).